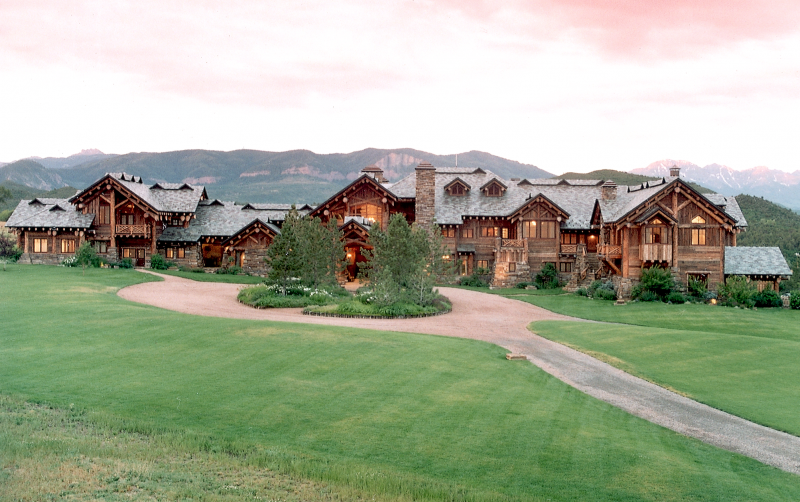 This private estate, set on 15,000 acres in the Cimarron Range of the west slope of the Rocky Mountains is the perfect mountain hideout for a family or friends getaway. And now, Sleeping Indian Ranch is available to book — for the first time — exclusively through Telluride’s Madeline Hotel & Residences, Auberge Resorts Collection. Nestled in a broad valley, known as the “Gateway to the San Juan Mountains,” Sleeping Indian Ranch is a showpiece 40,000-plus square-foot, seven-bedroom lodge that accommodates all who dream of wide-open spaces. It was designed and built in 1993 as a private family vacation estate by Douglas S. Ewing, FAIA, and is an American Institute of Architects award-winning home. 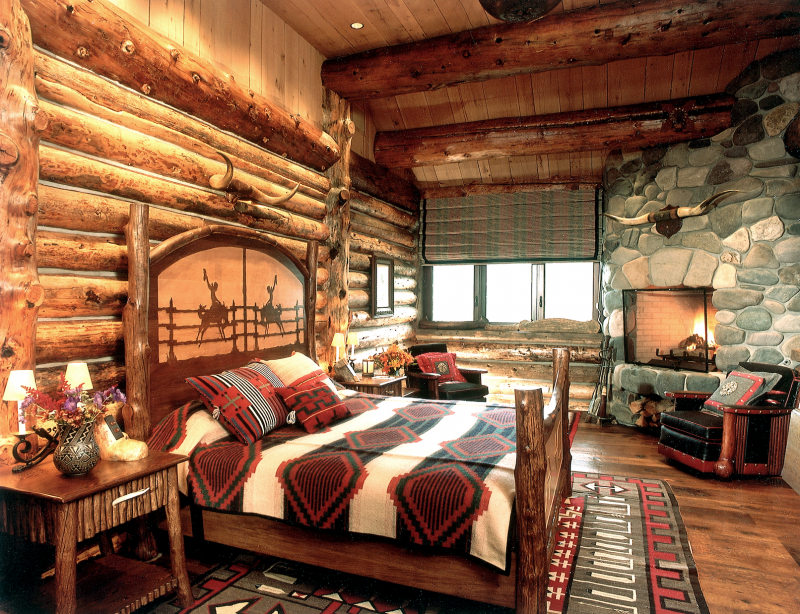 Inspired by the legendary great lodges of Yellowstone and Yosemite, the warm and comfortable home — which can sleep up to 16 guests — was constructed with reclaimed logs from the 1988 Yellowstone fire. Guests cross a magnificent stone and log bridge over the Uncompahgre River upon entering the ranch gate, after which Sleeping Indian Ranch comes into view in its full majestic splendor, set against a background of tall pine peaks. The interiors of Sleeping Indian are designed for groups. 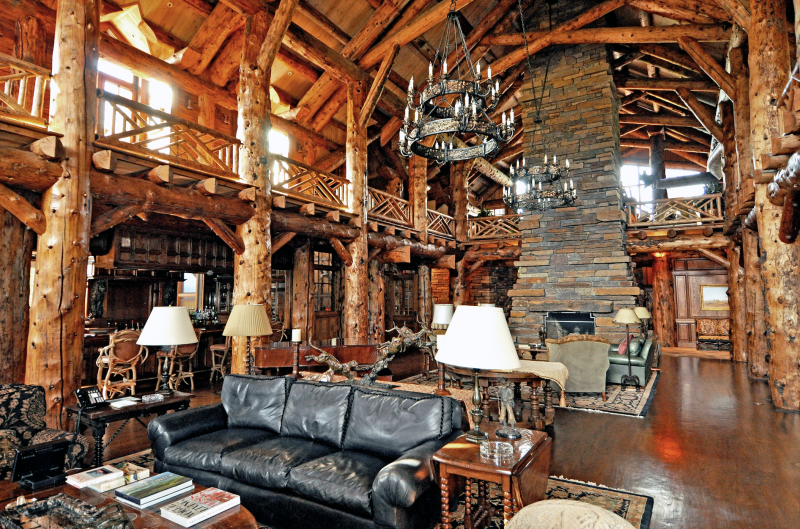 A Great Room is the home’s centerpiece, a spectacular interior with 38-foot high ceilings made up of massive logs. 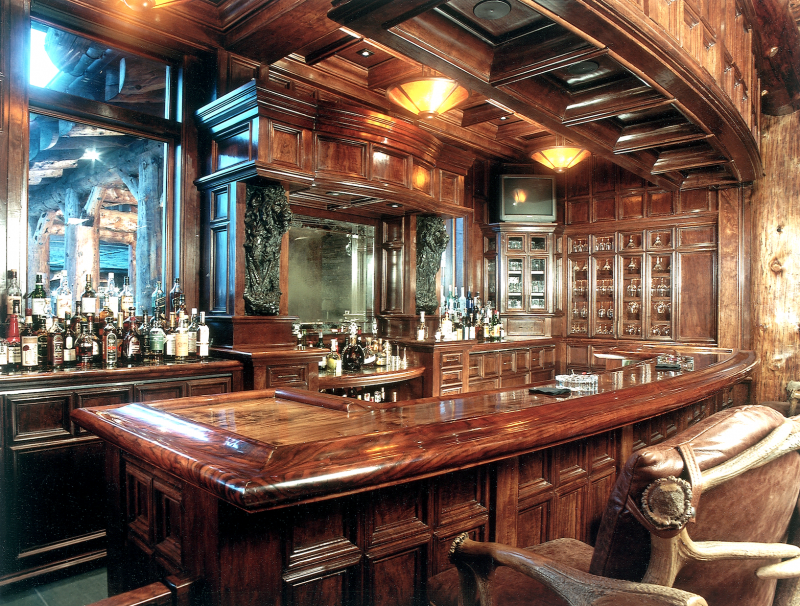 A cozy Claro Walnut bar sits next to matching walk-in stone fireplaces with 16-foot-long mantels. 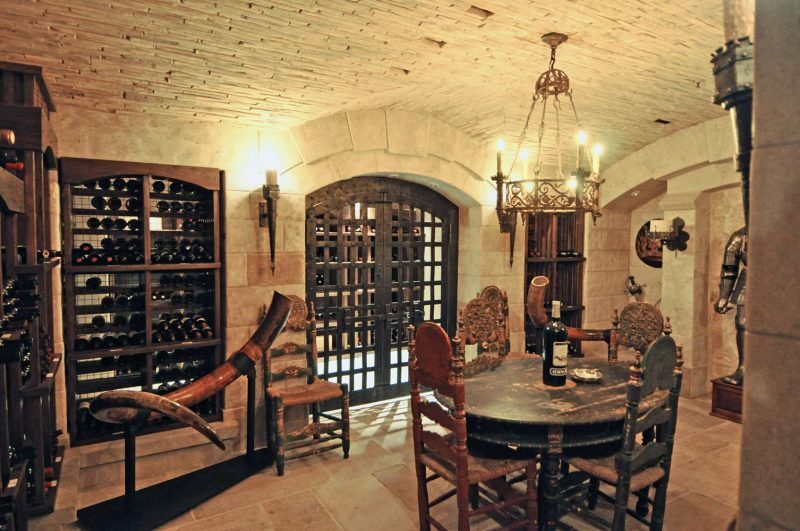 A media room and cigar room, along with a three-room wine cellar, host intimate gatherings. When it’s time to retire, a Master Suite beckons with an added loft. 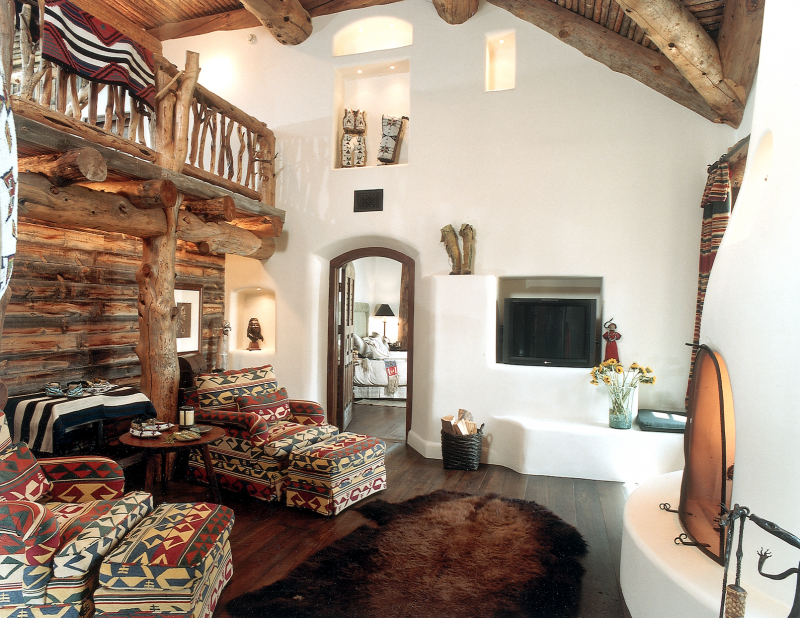 Two additional suites include the Santa Fe Suite with an adjoining bedroom and loft; and the all pine Swiss Suite with a master bedroom, sleeping loft, kitchen and children’s bunkroom. Three additional guest bedrooms include the Molesworth Room, complete with authentic pieces designed by Thomas C. Molesworth, the famous western furniture designer of the early 1900’s; the English Room, featuring an intricate Claro Walnut interior; and the Western Room, with barnwood décor. Activities near-site include heli-skiing, cross-country skiing, snowshoeing, horseback riding, fly fishing, trap shooting, ATV riding, snowmobiling, hiking, and more. It’s an unrivaled place to create stories and memories alongside loved ones. 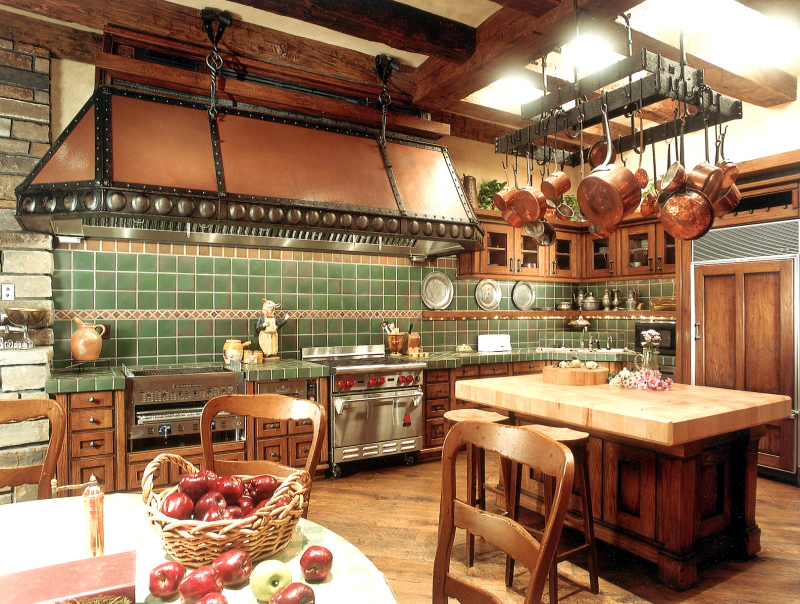 Sleeping Indian Ranch is accessible via private air or chauffeured ground transport from either Montrose or Telluride.